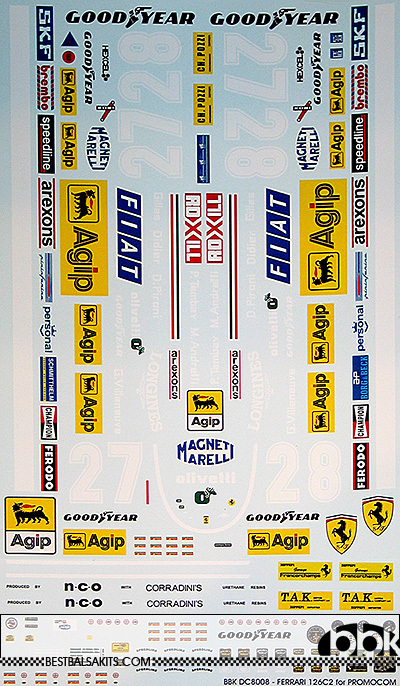 This decal set is designed to fit PROMOCOMS 1/8 FERRARI 126C2 kit. It offers corrected logos & colours next to a bunch of additional designs. The sheet is professionaly printed using 10 colours. Carrier film does not fit each marking on the sheet seperately but is continuously so you need to trim the decals close to the printing.